Which games are you looking forward to in 2019 and beyond? Sony may answer that for you with a “Coming Attractions” video to hype you up for the year’s hottest releases. This sizzle reel shows off games that are right around the corner, such as Kingdom Hearts III, and games that have no release date, such as The Last of Us Part II. Take a look in the trailer below. The games featured are as follows: Days Gone, Ace Combat 7: Skies Unknown, Devil May Cry 5, Ghost of Tsushima, Kingdom Hearts III, Concrete Genie, Rage 2, The Division 2, Erica, Dreams, Blood and Truth, Metro Exodus, Dying Light 2, Medievil, Control, Resident Evil 2, Death Stranding, Far Cry New Dawn, Crash Team Racing Nitro Fueled, Anthem, Sekiro: Shadows Die Twice, and The Last of Us Part II. This video is a reminder that Sony’s continuing its trend of quality remasters and remakes with titles like Resident Evil 2 and Crash Team Racing Nitro Fueled. We’ll see if titles like Devil May Cry 5 and The Last of Us Part II can successfully follow in the footsteps of their predecessors. Meanwhile, the inclusion of Death Stranding here feels a bit optimistic as just a few months ago Hideo Kojima confirmed that the release date, which hasn’t even been announced, has not changed. 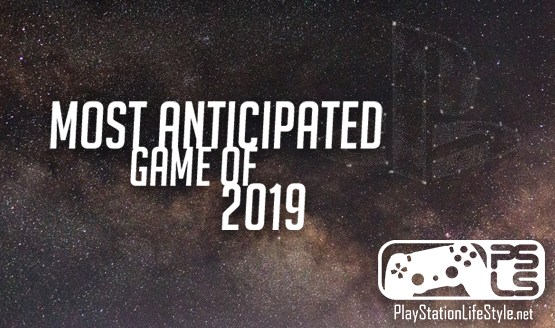 What are your most anticipated games of 2019? Let us know in the comments below.